The United Nations Educational, Scientific and Cultural Organization (UNESCO) and the Office of the Special Rapporteur for Freedom of Expression of the Inter-American Commission on Human Rights (IACHR) and the Knight Center for Journalism in the Americas of the University of Texas at Austin are pleased to announce that applications are open for the course "International Legal Framework of freedom of expression, access to public information and protection of journalists." This innovative course in Spanish, which in the last five years has already trained more than 7,600 judicial operators in Ibero-America, including judges and magistrates, will offer its fifth edition at the Latin American level from April 1 to May 12, 2019. However, applications to take this course are already open! To apply, please complete and submit this form. The course, which has the support of the Ibero-American Judicial Summit and other entities, aims for judicial operators in the region to reinforce their knowledge about international standards that govern the right to freedom of expression, access to public information and the protection of journalists. This course has the same structure and themes from previous editions, although recent decisions will be included to update the study material. Applications will be open until March 17, 2019. For this edition, the instructors will be Catalina Botero, former Special Rapporteur for Freedom of Expression of the IACHR and dean of the Faculty of Law of the University of Los Andes (Colombia), and Edison Lanza, Special Rapporteur for Freedom of Expression of the IACHR . "The judiciary is the most important guarantee in the defense of freedoms and fundamental rights. It is the barrier of protection of all people, without distinction, against arbitrariness. This course aims to contribute to this noble task of defending rights and to that end it seeks to offer analytical tools and indispensable spaces for dialogue in order to advance together in that task," said instructor Catalina Botero. The course will be held from April 1 to May 12, 2019. Each weekly module consists of video classes, reading materials, quizzes, discussion forums and other assigned activities. It is an asynchronous course, meaning there are no live activities. In this way, classes and other activities can be done at the student's pace, on the days and times of each week that best suit them. Students who successfully complete course assignments, including quizzes, may download a certificate of completion, which does not have any type of academic credit, but which documents the completion of this online program. "Thousands of judges and other judicial operators have already been trained using the Knight Center’s digital platform for this program. It is a great honor for us to continue this initiative," said Professor Rosental Alves, director of the Knight Center for Journalism in the Americas, at the University of Texas at Austin. 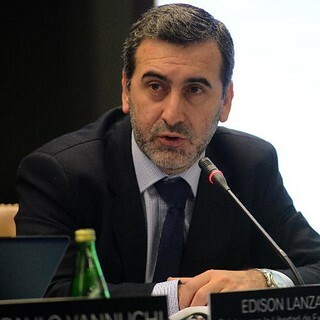 "We are grateful for the trust that UNESCO and the Special Rapporteurship for Freedom of Expression of the IACHR place in us to operate this excellent course that has been an example in other parts of the world." 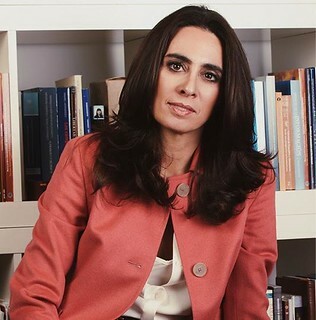 In addition to the Ibero-American Judicial Summit, the course has the support of the Ibero-American Network of Judicial Schools, the Foundation for Press Freedom, the Latin American Internet Association, the National Endowment for Democracy (NED), the OAS School of Government and the Government of Sweden. This is the fifth edition of the course at the Latin American level, but two other editions have been given at the regional level. UNESCO and the Office of the Special Rapporteur, in collaboration with the Knight Center, offered a pilot version of this course aimed exclusively at Mexican judicial operators in November 2014. In September 2015, a similar course designed exclusively for judicial operators and journalists in the state of Coahuila in Mexico was offered. This was the first course of its kind intended for the state level in the world. At the end of 2015, an edition was offered at the Latin American level, followed by editions in 2016, 2017 and 2018 during the first semesters of each year. In total, more than 7,600 judges and other judicial operators, such as prosecutors and court officials from all Latin American countries (except Cuba) have participated in the six previous editions of these courses.